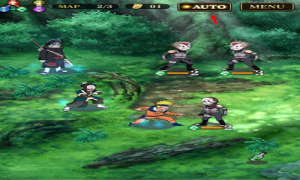 The Naruto Shippuden Ultimate Ninja Blazing Guide is here! Believe it! 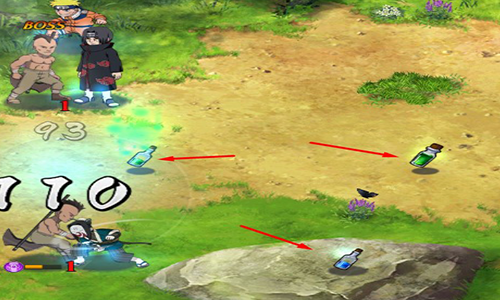 We’ve got you covered with some tips and tricks to help you tackle the Ninja world and become the next Hokage with this guide. Covering everything you need to know! Each stage will consist of 3 waves. 2 waves of basic enemies, and then the boss wave. You can either choose to play these out yourself or hit the auto button + double speed button to ease your way through the map. I recommend that you use auto play / speed until you reach the boss stage. While you’re in auto play your team will not be using any of their Ninjutsu techinques, and during a boss fight of equal skill, you will lose. So take over for the boss fight and micro manage your team. This is also important if you’re trying to clear the 3 objectives for the stage. By time you reach the boss wave, you will have full Chakra bars across all 6 characters. Rotate through all of your Ninjutsu techniques first, swapping as you need for Elemental damage boost or for AOE damage if there is a group stacked up. When you set up your team there are two rows, the front and back row. The front row will be the characters on the field at the start of a level. The back row is the set of characters you can quick swap to when you need them and the 3rd front row slot is for a “Friend” that you pick each stage. The buddy skills only work with each row they are linked to as outlined below. Buddy Skills have a few assortments such as Boost Attack by X, Boost Crit rate by X and so on. Field Skills differ from Buddy Skills by the aspect of being usable by the entire team. The one thing to keep in mind when you’re in combat is the proximity of your characters to each other, and the distance of an enemy character. They also use field skills, for an example- If you stack up your team onto an enemy who can counter as a field skill, every one gets hit. This also applies to Ninjutsu techniques. Positioning is VERY important. Use the circle as a guideline indication for your Field Skills and the enemies. It is possible to maximize your bonuses and be far enough out of range of an enemy to decrease their field skill. This is also help during a boss fight, where the boss has a high damage AOE. You will take damage for every character hit, and if you don’t have a healer / support on your team, you will be in trouble. During combat you will see items on the ground, this requires you to move a character over them to pick them up if you need it to survive. For the most part you can over look these, but occasionally a timely move to a health potion or chakra potion positioned by an enemy will not only save you but allow you to combo damage onto the enemy as well. Element match ups will play an important part in the battle system of Naruto Shippuden: Ultimate Ninja Blazing, but this will mostly only be during a boss fight because of how large their health bars are. For bosses you will find their element listed to the top left, next to their name and not on the character itself. 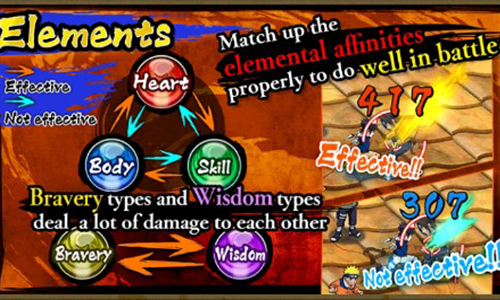 This is the layout of each element and its effectiveness or non-effectiveness to the other elements. When you’re building your team, you are going to want to try and have at least 3 to 4 different element types to counter the enemy. Unlike other games that limit your teams, you will be able to swap between characters on the fly and this will help you to maximize your damage against the element. Daily Login will usually gives you Pearls! Don’t forget to check “Presents”, this is where a lot of items will be collected. If you don’t have a support / healer, try to pick up a Kabuto from the friends list. He has a massive healing ability and is a perfect staple for the team. The first character in the first row is your “Captain”, put your best character in this slot for other players to use. The more players use your Captain, the more friend points you earn. Do not buy Ninja Pearls! You can gain these from playing co-op or from finishing a complete stage in Story mode. Consider anything below 3 stars as exp material for your main team members. Tap the Lock icon in the character stat screen and it will keep it safe from being used as a material for enhancing, releasing, or awakening. Your Characters only gain Chakra when their turn has passed. Running out of Stamina but close to a level? Go back to an early stage as it will cost less stamina and could help you reach a level to refill your stamina bar! Sort friends by “Rare” “Descending” so the best characters are at the top of the list. A gold scroll from Summoning will always be a 5 star character. Read your guide, very helpful! those pills in bottles, and the ramens you can get, there are many different kinds, what do I do with them? the ramens give nice amount of exp if enhanced, but the pills don’t give so much exp and they cost a lot to enhance, so what exactly do I do with them? do I want to enhance them or throw them away? I noticed there are different kinds, like some would say health boost, some attack boost, skill etc…do they actually add these stats to character I enhance them with? Yep, they add those stats to the character you use them on. You should see it in ( ) next to your character when enhancing them. Why am not gettingpresens in the game .am not able to get ninja pearls frm co-op missions can you help.me why??? Screenshot or save your data transfer code . Then uninstall the game . Do a fresh download . Fill in your transfer code in data transfer tab in title menu. P/s : Never forget to screenshot or save your data transfer code or you will lost your account. Hi I’ like To know how To get rid of friend points? You can use your friend points in the Summon menu. Scroll down passed the Pearl summon to Friend summon, and you can spend your friend points there. Gama-Chan are naruto purses, release the gama purses so you will get ryo from it. How to release gama chan? Summoning characters is the main use of pearls . Other than that , you can use pearls for recovering stamina, recovering phantom castle stamina , expanding character list , and expanding friend list . I have a 5 star Sakura max level and I can’t awaken to 6 star, or at least it doesn’t give me the option to. How do I do it? That means sakura is the same as itachi . 5 star maxed . They cant go further . Hold scrolls are random? Or u can make it happen? Gold = Bravery scroll , i would say both. If you want to obtain only bravery scrolls , the schedule is on Thursday in EMERGENCY MISSION , please refer to the schedule mentioned above by Mr Darrick Smith. Thanks. Can we use an enhanced character for materials for other characters to chew on? Hi guys, what is luck good for? By luck means ? 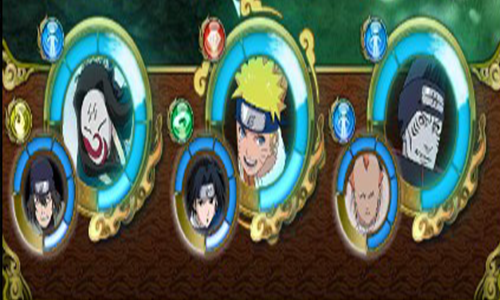 Btw is it true that we can get sasuke on story mode level 8-15 ?? In which map will it possibly pop out ? I’m trying to awaken my Sasuke to level 6 but it’s says I don’t have enough capital???? It is because you still have unfulfilled criteria . It might be you dont have enough scroll or ryo. It means you have to use that specific element only for that mission in all the slots including your friends slot. Y use “body element character” only to complete the mission. Read the article. How can I get 6 star characters? 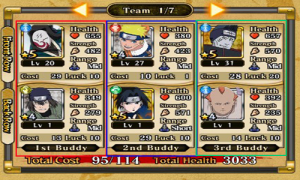 I have 2 types of Naruto, but the max star they can reach is 5. I can only find Naruto 6 star with the summoning? the utility of health boost is for what ? and how can i use ? Bravery (Yellow) is to increase your health for your character and Wisdom (Purple) is to increase your strength of your character. 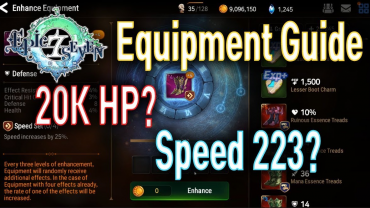 When you place the item in the enhance section it will display the strength increase, but keep an eye out because there is a cap on how much you can feed each character. For example 3 star can only have stats 4 star is 100 HP and 50 str max, 5 star is 200 hp and 75 str and 6* is 300hp and 100 str. Can sakon be 6* ? Does it count in all 6 slots or does it only count what’s on the field? Hey! Thanks for the guide! It’s neat and helpful! However, I’ve got an issue with the game. You see, up until yesterday every time I played multiplayer I would get Ninja Pearls because I played with these other players for the first time or something among those lines. However, yesterday afternoon I noticed that I stopped recieving these pearls, which made me think that I was playing with people I had already played with, but after a day I think it’s just too much of a coincidence. Is it possible that there’s a limit to the number of pearls you can obtain through this method? So if I’ve already hit 110 pearls I can’t get anymore multiplaying? The only way I can get more is by completing quests? How do i make my own description when i select ‘gather friends’ ?? I saw some guys had written descriptions on their battle’s room they created like ‘skill only’ or ‘godlike dude’ or ‘6* only’ i wanted to know how i add description to the battle room i create by selecting ‘gather friends’ please answer me..
What is “cost” for each Character? It increases as we enhance them. What it is exactly? You’ve got a limit to the cost of the characters you can have. For example, if your limit is 100, the sum up of your character’s cost can’t go above it. The limit is increased by leveling up. The Ninjutsu does not change everytime the character is awaken? Guys, can someone help ? I have 2 Narutos, 4 stars (the worst loser) and 5 stars (no. 1 maverick. 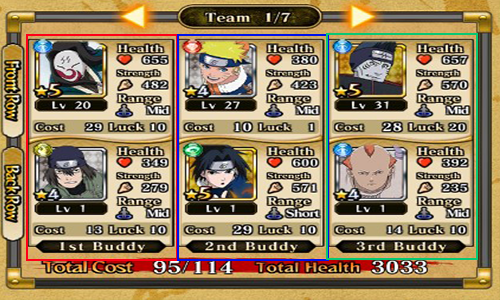 To me it is only logical to keep the 5 stars Naruto, but whenever I try to enhance him and try to feed him the 4 stars Naruto, it shows that he is already in use. I made sure this guy is not in any of the teams or anything. On the contrary, when I equip the 4 stars Naruto, I can enhance him using the 5 stars Naruto. What to do now lol ! 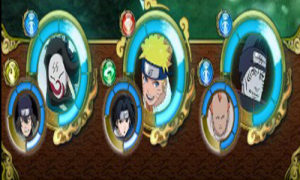 is there a stage 9 on Naruto blazing? my phone stopped at stage 8 – 15, is there anymore stages? How do i awaken Naruto No.1 maverick? Guys. Hellow.. I have a problem on this game when it comes to enhancing my character on the tutorial mode the item was i supposed to press is not there the ramen. And i could not advance in the game because of this. Plzz help me. 1. I want to awaken my characters but I need awakening scrolls. Where do I get them? 2. What are the health boosts and the attack boosts pill and how do I use them? 3. After completeing a story mode level, how do I acquire the special rewards like the pills, level one characters and sometimes level 3 character? Hi, how to increase character’s luck? I can’t figure out where to find Lvl4 Scrolls of any colour… Please help. Hi! how can i use ryo? idk how or in what use them and other thing! I am playing with ‘story mode’ but cant get perfect result for special reward condition. 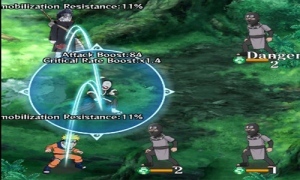 Reduce the boss HP to 0 using Ninjutsu? Dont get hit by status ailments? What kind of character I need to use? Kindly assist. Ninjutsu: Use your skill, For example Naruto’s rasengan or Sasuke’s fire ball jutsu. Status: Try to not get Slip Dmg (Poison) Inmob, etc. I have a question… how to reduce the cost of a character?